Kelsey Thatcher and Athena won the $35,000 Gand Prix de Lamplight. 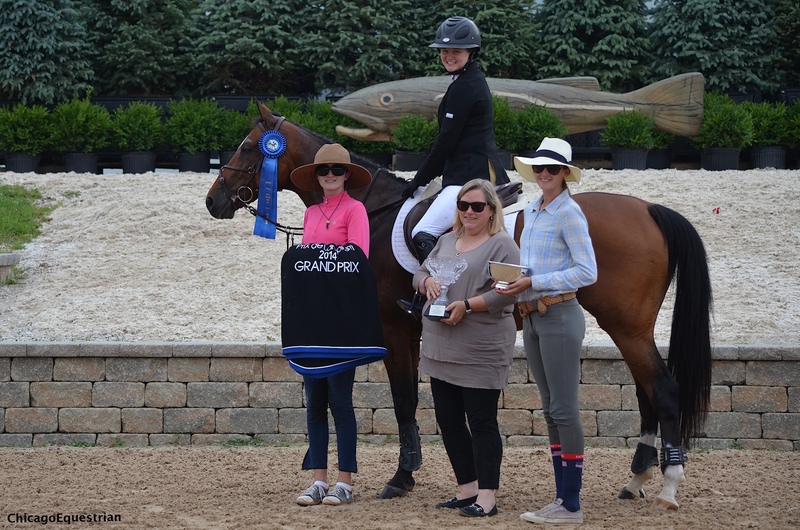 Wayne, IL – July 26, 2014 – Lamplight Equestrian Center hosted the $35,000 Grand Prix de Lamplight today during week one of the Equifest Horse Show series. VIP seating was available with delicious food, bar, and a fantastic view of the newly improved Grand Prix Ring. Twenty horses took a shot at the Greg Kuti designed course. Kuti set the bar earlier in the week with a tight time allowed in the Welcome Class. Kuti did not disappoint with the challenge today with places to gallop, places to shorten and an open water option. The oxers were set square and wide and the triple combination was early in the course. Most of the riders chose to jump the open water rather than the wide oxer option. The high heat and humidity affected some of the horses later in the long course causing rails and the triple combination caused some rails early in the track. Kuti provided a variety of challenges to test the horses and riders. Six horse and rider combinations passed Kuti’s test and moved to the jump off. Laura Linback of Mundelein, IL, was the first to go clean on Whittaker MVNZ with a time of 45.454. Next to go was Kelsey Thatcher and Pony Lane Farm’s Everything, who set the bar with another clean round and a fast time of 40.874. Liz Atkins of Hampshire, IL, and Niro 8 were up to the challenge, putting in a clean round with 41.964 but not quite fast enough to catch Thatcher. Atkins won the Welcome Class earlier in the week on her other mount, Undine. Liz Atkins and Niro 8 finished in third place. Thatcher still had a bullet left as she returned on Pony Lane’s Athena. The athletic mare jumped hard and galloped across the ring as Thatcher beat her own time on Everything with 40.030 for the win on Athena. Thatcher’s consistency of earning top ribbons in the ring is proof of the program she trains in. Trainer Maggie Jayne credits Thatcher’s consistency to her work ethic. Kelsey Thatcher took the second place spot with Everything. Even though the Jayne group rides a dozen horses each a day, you can still find them at the gym. Lamplight owner Nina Moore presents the trophy to Thatcher and Athena with Maggie Jayne and Haylie Rolfe. Thatcher is from Bluffdale, Utah and lives in Athens, GA. She also rides in the Amateur Owner Hunter division and has earned numerous Championships from the hunters to add to her resume. Thatcher recently graduated from the University of Georgia with a degree in early childhood education and will be heading back to Georgia to start student teaching. 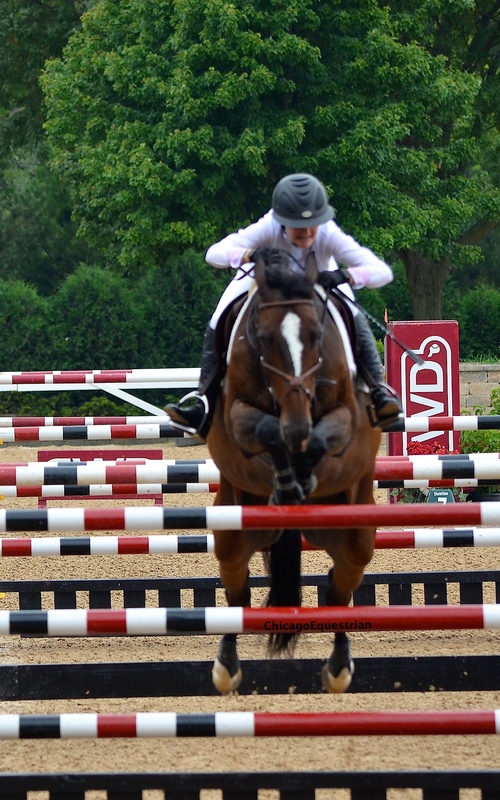 Equifest I finishes out the week with multiple jumper classics and the $7,500 Cavalor Show Jumping Hall of Fame class. The hunter divisions also come to a close as the division championships are awarded. 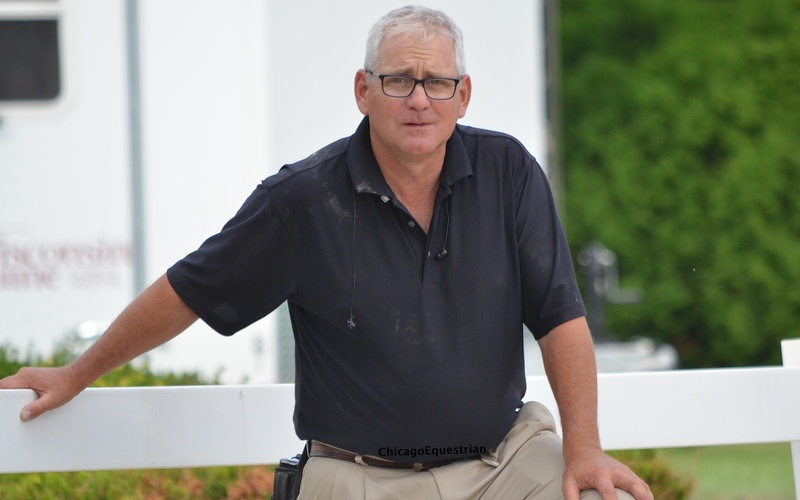 The Equifest I and II shows are managed by Allen Rheinheimer and feature a $5,000 USHJA National Hunter Derby each week and the $35,000 Prix de Lamplight on Saturday afternoon each week. 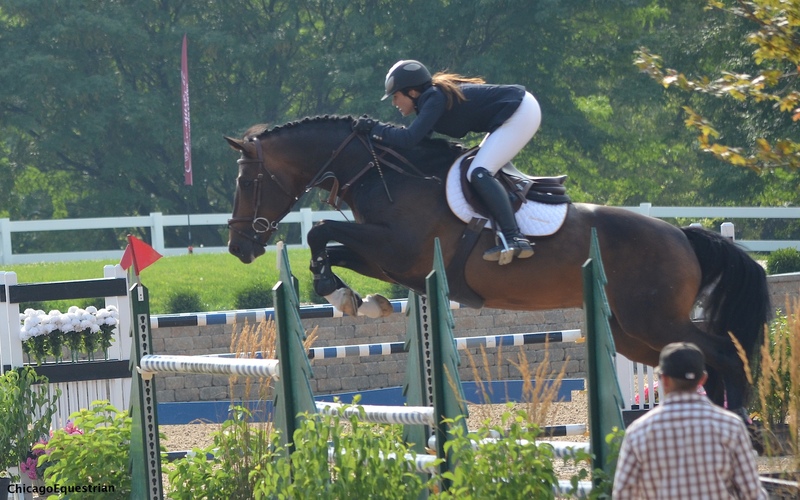 The two-week series concludes with the $15,000 USHJA International Hunter Derby along with a fantastic Derby Brunch. One lucky exhibitor who competes both weeks in the 3'6" Junior or Amateur Owner Hunters will win a saddle from sponsor CWD. All photos by Chicago Equestrian and may only be used in relation to this release.